Considering the output of comic book movies this year has been ranging from good (Kingsman, Avengers: Age of Ultron, Ant-Man) to bad (Fantastic Four), its important to remember a time when a superhero movie was a rarity. And in most cases, that rarity was more watered down versions of the core concept than a faithful adaptation. 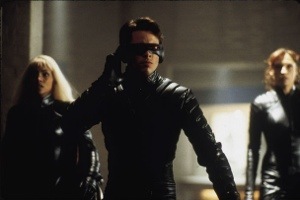 Cut to 1999, when director Bryan Singer was starting work on a big-budget adaptation of one of Marvel’s most popular batch of characters, the mutant heroes, the X-Men. 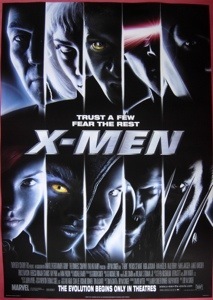 That movie, released in the summer of 2000, was X-Men. Despite being a big studio movie that had a long gestation period (at one point, James Cameron was attached to the project), even as the movie went into production, it was not easy to make. A change in the studio’s schedule pushed the movie from a Christmas release to the summer, which shortened a complicated post-production period even moreso. Then there was the casting trouble that occurred when one of the film’s leads, Dougray Scott, could not take the role of Logan (Wolverine) due to his commitment to Mission: Impossible 2 going overschedule. It was luck that the producers managed to find their replacement in a then relatively unknown Hugh Jackman. 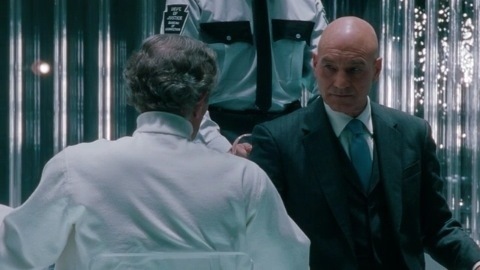 Patrick Stewart as Charles Xavier and Ian McKellen as Magneto were wise choices for this pairing of friends turned enemies. As with the comics, the philosophy and arguments of both characters was hard not to sympathize with. While we get to see Magneto’s perspective be created in that opening flashback to the death camps of WWII, its actually not until X-Men: First Class that we start to learn about the events that shaped Xavier’s life. But whenever both actors play off each other here (and eventually in this franchise and other non-X-Men related projects), its something interesting to watch. And it was the concept of mutants who had to deal with varying degrees of human acceptance and hate that made the books great that the movie wisely didn’t ignore. That it used that idea as a springboard for Magneto’s twisted plan to turn ordinary people into mutants to engender sympathy (although as we see, it clearly was not as foolproof as planned) was a novel stroke. And that unease of mutant powers even was reflected in other mutants’ reactions to others like them, as in the reaction to Rogue using her powers of Wolverine to heal herself. In a nice bit of symmetry, Wolverine allows himself to be siphoned off to heal her in the climax on the Statue of Liberty, which makes for an effective scene. Smartly, the core X-Men are a small group here in comparison to the deluge of characters from the books to choose from: with leader and eye beam suffered Cyclops (James Marsden), mind expert Jean Grey (Famke Janssen), and weather wizard Storm (Halle Berry). This gives us some time to understand who these characters are, but only so far, as plans to set up the origins of them in the movie were scrapped due to its tight schedule. And it’s still the leanest of the X-Men movies to date, and weirdly enough, the only one not drawing from stories from the comics. 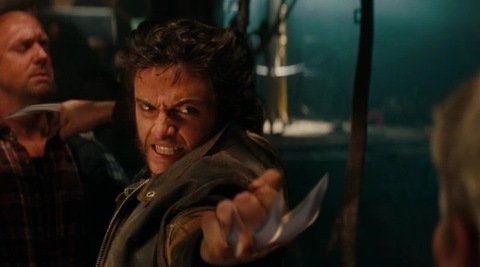 Also of note is the script was worked on by a lot of screenwriters, including Joss Whedon (who would years later write an acclaimed run of the X-Men books), who is responsible for one of the best jokes of the film (Wolverine proving who he is to Cyclops) and one of the worst parts of the movie (the whole “toad being struck by lightning” quip by Storm). So that just goes to prove that not everything Whedon touches turns to gold. But in retrospect, X-Men is a milestone in comic book movies even after fifteen years in existence. It started a trend of more seriously minded superhero movies that treated its legacy as an asset, not an hindurance. Even though we’ve seen another shift or two come from movies like The Dark Knight, Iron Man, and The Avengers, the X-Men series is still kicking on through the rare misfire (like X-Men Origins: Wolverine and X-Men: The Last Stand) and is already expecting its next installment, Apocalypse, in 2016. But even I remember going to this movie when it first came out, thinking by the time the credits started to roll: “I hope this isn’t the last kind of superhero movie like this”.